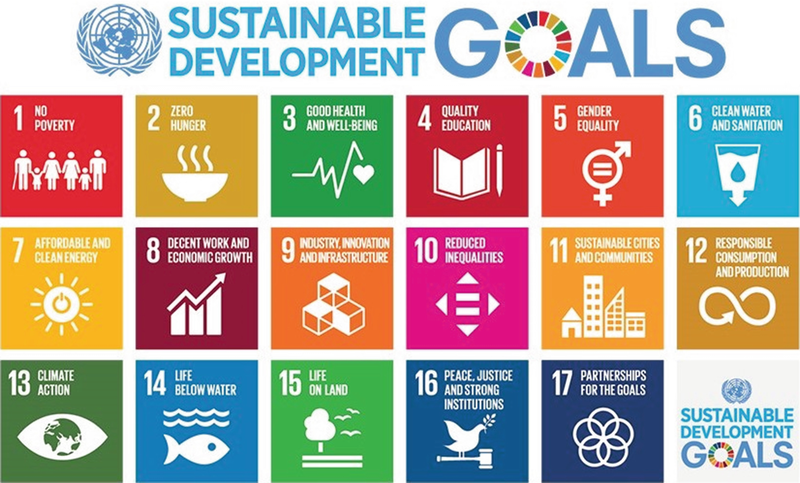 The global Sustainable Development Framework (SDF) published by the United Nations in December 2012 advanced in January 2016 into what has now become known as the UN Sustainable Development Agenda 2030 defining 17 universal goals and 169 targets for the pursuit and attainment of global sustainable development. However, the global sustainability journey has yet failed to advance at the pace that is otherwise expected, due to the co-action and interactions of many complex interrelated limiting factors and variables, in what some have rightly referred to as a “wicked problem.” This research interrogates how modern bureaucracy and its social consequences bother on the full implementation of the global Sustainable Development Agenda while also discussing implications for the global sustainability challenge. Bureaucracy, the often complex, convoluted, and centralized hierarchical administrative and decision-making structure that powers and regulates the activities of modern governments, corporations, commerce, and industry, has become an intricate feature of contemporary living, which effects can typically be felt rather tangibly across the personal, corporate, government, political, business, commercial, as well as other circles of twenty-first-century life. Even though the intentions behind establishing bureaucratic structures are sometimes justified by propositions of structure, optimization, order, and efficiency, unwitting and inadvertent malformations in contemporary bureaucratic structures and processes could render them dysfunctional and often portend tragic and far-reaching degenerative consequences for subsistence and sustainability across multiple fronts; and this, perhaps, explains why modern theories of management and administration seek to do away with bureaucracy or at best minimize it to only that which is necessary. Modern bureaucracies often comprise a body of officials who are appointed to represent an elected government persona, as well as a group of administrative individuals that enact policies that aim to guide and organize the running of affairs within a polity and public service. When such bureaucracies assume a coercive, rigid, and immutable structure, the resulting stiffness is able to strangle empowerment and innovation, breed dissatisfaction by suffocating ingenuity, misrepresent policy and communication, engender negligence and irresponsibility, truncate personal and professional development, deflate trust, disable cooperative synergy, foster impunity and nepotism, and lead to festering acts of avarice, selfishness, and exploitation across the various sectors of the public civil, military, and paramilitary service and in the long run maligning efforts at representative leadership and increasing resistance to progressive change. Because indeed, whether or not a particular transformative leadership process for progressive change within an organization would be embraced by the workforce and turn out successful depends greatly on the past and existing bureaucratic structure(s) in place within the organization, since it has been repeatedly confirmed that the far-reaching negative effects of rigid and coercive organizational bureaucracies effectively transcend and superimpose on the dynamic nature of administrative leaderships within such organizations. A recent study that investigated the impact of bureaucratic structures in a national police force discovered the pyramidal organizational structure of the force, coupled with the inverted pyramidal flow of resources allocation to be the harbinger of various counteractive realities that hamper the progress and effective operations of the force’s mandates. The situation being that few force officials at the top receive a vast preponderance of limited resources as bureaucratic allocations but yet are not directly involved in the actual execution of the daily dispatch operations of the force. The rigid abstraction of command also makes it impossible for subordinates to get access to the higher ranks of command except through supervisors who are only able to establish contingence between their direct higher-ranking superiors and lower-ranking subordinates. As a result, lower-level dispatch officers are left to bemoan challenges of mistrust, information and resource deficiencies, policy inconsistencies that become contradictory between promulgation and implementation, malicious misinterpretations of policies for malicious purposes, and worn-out channels and envoys of downward communication, among many other challenges, a situation where effective whistle-blowing against corrupt practices by superiors is almost circumspectly maimed (Wang 2015). This scenario limpidly paints the rather disheartening reality of the extent to which contemporary bureaucracies are able to clog the wheels of subsistence, development, and sustainability in sectors of the modern public service, with consequences that could be far-reaching and indeed daunting. In this chapter, the social consequences of contemporary bureaucracies are presented as contained in the existing body of knowledge while attempting to succinctly summarize the trail of existing knowledge on the effects of bureaucracies on modern societies, social structures, and the public service sectors; and then using a systematic and associative descriptive analysis, the implications for global sustainable development are also herein discussed in a bid to contribute progressively to contemporary discussions regarding how modern bureaucratic structures and processes impact on the global sustainability agenda. However, while the government public service sector, predominantly of Western civilization, would provide a contingent, widely available, and more accessible viewing lens for the discussions in this chapter, the argued realities remain germane and instructive of the wider and far-reaching implications, the more so for developing and underdeveloped civilizations that bureaucracies (viewed through any other lenses) and its social consequences could have on building sustainable societies that meet global standards. In December 2012, the United Nations (UN) published the draft document for a global Sustainable Development Framework (SDF), which among other goals seeks to foster and engender the adoption of sustainable means in the pursuit of humanity’s various developmental ends. This framework called for the pursuit of sustainable development along the broad quadripartite panels of economic development, environmental sustainability, social inclusion, and good governance. Thus, we came to know sustainable development as the advancement of economic development that is not pursued at the expense of environmental sustainability and broad-based social inclusion/equality while incorporating good governance. The propositions of this framework has been lauded and welcomed among other reasons because it takes into cognizance the realization that a society that seeks to progress at the expense of environmental subsistence, with disregard for social equality and repressed societal classes and with corrupt, impunitive governance, is bound to self-destruct on its own terms, sooner than later. Six years have now passed since the draft SDF was published by the UN, and 3 years have also passed since the Agenda 2030 defining the 17 goals for the pursuit and attainment of sustainable development went into force in January 2016. Figure 1 presents a graphical summary of the 17 universal goals of the Agenda 2030. In summary, the global sustainability Agenda 2030 aims to end all forms of poverty around the world; improve nutrition and food security by promoting sustainable agriculture, toward ending hunger; pursue optimal health and well-being for every global citizen, regardless of age; ensure quality education that is inclusive and equitable, providing opportunities for lifelong learning for everyone; pursue gender equality and empowerment of female citizens; ensure that everyone has access to clean, portable water that is sustainably managed, as well as healthy sanitation practices; and avail access to clean energy for everyone, which is sustainable, affordable, and reliable, among 17 audacious goals that have formed the foundations of global sustainable development (United Nations 2018). More relevantly to the focus of this chapter are goal numbers 10 and 16, which seek to bridge the margins of income inequality both within and among nations and foster societies that are peaceful and inclusive by upholding public systems of justice and building institutions that are accountable, effective, and inclusive at all levels. Hence, subsequent sections of this chapter proceed as follows. Section “Contemporary Bureaucratic Structures, Processes, Leadership, and Perspectives: A Pinhole View” reviews contemporary bureaucratic structures, processes, leadership, and perspectives, as well as their social consequences, before discussing how these impact on the pursuit and attainment of goal numbers 10 and 16 of the global sustainability Agenda 2030 from a broadened viewpoint. There exists a fairly general consensus among various contemporary sources that align with Weber’s agelong proposition that ideal bureaucracies should be structured in such a way as to relate to a particular domain of activity that has to be guided by regulations; have a hierarchical organization; take action only as specified by well-defined rules, which action(s) must be preserved as documented records; necessitate expert training in certain (critical) areas of involvement; motivate officials into devoting their total capacity to meeting their bureaucratic responsibilities; and rely on general rules that are consistent and teachable, for managing the various operations of the bureau. These are provably the wider accepted features that contemporary bureaucratic structures are ideally expected to reflect (Weber 1958). Through this viewing lens, many existing sources allude and give voice to one or more of three distinct classes or categories of contemporary bureaucracies, viz., (1) the monopolistic bureaucracy, where full powers are vested in a single bureaucratic institution, framework, or other persona for the administration or operation of particular roles, responsibilities, and mandates; (2) the competing bureaucracy, where multiple bureaucratic personas are substitutable in their roles, operations, and procedures, as specified by their mandates; and (3) the complementary bureaucracy, where the roles, operations, and procedures of multiple bureaucratic personas are mutually supportive and supplementary of multiple other bureaucratic personas within particular polities. However, contemporary societies often incorporate a mixed and sometimes encapsulated abstraction of these various bureaucratic categories across different depths and breadths of the government hierarchies and public service sectors. According to these various existing sources, the aforementioned three contemporary bureaucratic classes/categories thrive across three panels of realities: structure (relating to the manner in which their agencies and institutions are organized), operations/processes (the nature of the activities and involvements that are mandated for such agencies and institutions), and procedures (the policies and regulations that guide the extent and validity of involvements of such agencies and institutions). The convolution of these three realities gives contemporary bureaucracies the resilience upon which they thrive; therefore, any attempts to take down such bureaucracies usually focus on dislodging these three realities. In some cases and jurisdictions, though, attempts made even by elected government principals to subvert the bureaucracies within such established agencies and institutions have often met with rigid impediments that are rather formidable. These structures, with the associated processes and procedures that hold contemporary bureaucracies together, are intended to be a means to an end – the end of organizing and optimizing the quality and utility of services rendered to the general public within government frameworks (Shapiro 2017). But when these bureaucratic procedures, structures, and processes are taken out of their intended frameworks and made to become an end in themselves, they can become dysfunctional and misappropriated to the detriment of public service. Their operationalization becomes warped, in what sources have described as “bureaupathology” or “bureaupathy,” where goals become obscured and displaced in the course of excessive routinization and conformity (Grant 2014); and organizations are unable to foresee, adjust, and respond proactively to changes in environmental variables. Existing research has argued about the importance of bureaucratic autonomy, within contemporary bureaucratic structures, as a facilitator of the bureaucratic influence of an organization, be it endogenous or exogenous. Contemporary bureaucratic autonomies are perceived in terms of the autonomy of will (being able to autonomously develop bureaucratic preferences) and autonomy of action (the capacity to transform such preferences into action) (Bauer and Ege 2016). The proposition that bureaucratic autonomy is able to facilitate the bureaucratic influence of an organization indeed holds practical measures of truth, especially when considered in light of the realities trailing the bureaucratic framework that has seen the rise and bloom of the Chinese economy in recent times. The fact that government and her agencies can autonomously envisage preferences that they consider to be in the best interest of the larger political system and greater public utility, and are able to autonomously mobilize and pursue progressive action toward the attainment of such preferences for the satisfaction of the general public interests that they envisage, could indeed be an effective catalyst for progressive change and development. Another fitting example here is the discretionary bureaucratic autonomies wielded by international governmental organizations and agencies in fulfilling the mandates of their political principals. Max Weber propounded one of the earliest bureaucratic models of leadership since the nineteenth century, and the propositions of the model – hierarchical organization, top-down administration, and formal channels of accountability – still relevantly apply (Weber 1947). But in addition, contemporary researches now reflect a wider acceptance of the reality that bureaucratic leaderships must be established with regard for the crucial elements of experience, capacity, vision, skill, passion, patience, commitment, knowledge, maturity and emotional stability, integrity, character, and devotion, because bureaucratic followership counts on visionary and innovative leaderships to inspire, direct, and motivate in the pursuit toward the attainment of bureaucratic mandates, goals, and objectives. Indeed, leadership within bureaucracies requires the right application of available material and immaterial resources in the pursuit of specific ends while in the process also ensuring coherence and cohesiveness of the bureaucratic organization (Amanchukwu et al. 2015). It is a little wonder that, within contemporary bureaucratic leaderships, it is believed that part of the duties of elected public officers is to hold bureaucrats directly responsible for whatever outcomes are delivered by their designated agencies and institutions and rightly so because, ultimately, the elected officers are primarily culpable and answerable to the electorate for whatever bureaucratic dysfunctions are perpetuated under their watch. In contemporary societies, however, these bureaucratic structures, processes, and perspectives are increasingly being challenged; particularly with respect to the bureaucracies within the public sector. Through interest representation, adherence to due process, effective management, policy analysis, the character of federalism, and stakeholder oversight, the American society has gradually been able to reform the bureaucracies in their public service sectors. In addition, organizational bureaucracies within the public service are also being reformed to see that appointments and recruitments are more merit-based, insulated from elected government tenures, and free from dismissals that may be politically motivated, so as to engender innovation and boost entrepreneurial and investment confidence in the capabilities and subsistence of the public sectors (Gormley 2014). Furthermore, there have also been resounding clamors that demand a fairly structured public sector bureaucracy that is insulted from impulsive restructuring and reorganization at the whims and caprices of elected government officials, so as to help preserve their operational and procedural mandates and avail the measure of autonomy that is necessary to deliver high-quality public service that is free from the influence of the sentiments, volatile propagandas, political grievances, and dogmas of elected officials. Also, research has attempted to redirect attention of elected public principals to consider situational variables as more crucial determinants of organizational outcomes, as against perceptions of the responsibility of bureaucratic individuals, because bureaucratic dysfunctionalities, as with other forms of dysfunctionalities, cannot be objectively analyzed and interpreted from the perspective of a single viewpoint, due to the complex co-action and interaction of endogenous variables in tension. With the growing availability of bureaucratic performance data, especially relating to various sectors of the government public service, elected officials can now more than ever easily attribute the responsibility for causal realities surrounding bureaucratic dysfunctionalities to appointed bureaucratic leaders. However, through interest group advocacy and wider stakeholder dialogues, it may be possible to influence how such performance data are interpreted and used and the extent to which they reflect the competencies of bureaucratic leaderships (Nielsen and Moynihan 2017a, b). The notion that the quality of government has an effect on long-term social outcomes is well established in contemporary existing research. Bureaucracy and its formal institutions have been proven to have lasting effects on the social behaviors and trust relationships between a government and its citizens, especially with regard to corrupt practices within the government structures. The delineation of hierarchies, roles, and responsibilities within bureaucratic polities also differentiates the nature and quality of social services that would be ordinarily available and accessible to various classes of the citizenry, perhaps due to the structural accumulation of cliques, political parties, and privileged groups. In addition, such structures could have counterproductive consequences when the hierarchy that is responsible for dealing and interfacing directly with the lower social classes reflects a corrupt, arrogant, and treacherous disposition, regardless of the possible positive impressions that the higher echelons of the polity may be laboring assiduously to propagate. In contemporary bureaucratic structures within the government public service, citizens elect government officials, who in turn appoint their best choices to head various sectors of the public civil service. The traditional notion being that the duration and influence that comes with the office of service of these appointed public officers is inextricably bound to the tenures of the higher-level elected government officials that appointed them. As such, the idea of occupational security is expunged. These appointed public servants may, in no distant time, begin to engage in certain impulsive behaviors and practices that are morally and operationally detrimental to the sustainability of the general public service and utility. They may thus begin to position themselves as rent-seeking middlemen in the path of public service contractors, redirect and misappropriate public resources to assuage their occupational insecurities, and engage in propagating malicious propaganda that seem to align with their reelection and reappointment motivations. In the long run, they often end up scaring off investors, strangling entrepreneurship, stifling innovation, and fostering impunitive corruption and nepotism. When these bureaucratic structures happen to be further decentralized, the resulting consequences could be even the more petrifying. The World Bank has referred to the kind of corruption that could emanate from such decentralized bureaucratic setups as “the greatest obstacles to economic and social development,” especially within the context of developing countries (World Bank 2001). The cavalierly passing around of bribes and handouts becomes a fashionable way to make government officials look the other way, while the sanctity and very essence of public utilities within democratic polities are being violated in the most atrocious manners. Thus, and in the long run, having flooded the local market economies and public sector with much corruption-induced uncertainty, the spiral effects of huge, increasingly disproportionate and a priori indeterminable bribe burdens result in a situation where government revenue figures become distorted, unrealistic, and false; investor ROI projections become misleading; socio-infrastructural development projects are stalled; and reliant institutions, agencies, and corporations are rendered ineffective by a distasteful concoction of these concomitant consequences. Furthermore, in such public civil service bureaucracies, where elected officials appoint the upper administrative circles of the service to administer and oversee the affairs, personnel, and activities of the public civil service, if not carefully and closely monitored by active, independent, and effective representative and whistle-blowing structures, the outcome could result in situations of misappropriation, marginalization, impunity, trampled individual agency and autonomy, nepotism, and silencing of dissent, even within respected, gold standard democracies. The summative consequence of these realities is often a situation whereby elected officials are unable to establish contingence with the complaints and needs of the lowers classes of citizenry due to the bureaucratic abstraction of social hierarchies, as well as the nature and quality of the public service and utilities that are available and accessible to the various social hierarchies. However, when bureaucratic leaderships are effective and progressive, they are able to engender innovation, stimulate ingenuity, encourage autonomy of thought and freedom of expression, and breed satisfaction among the followership in bureaucratic praxis. Lower-level bureaucratic followers might then be able to leverage the atmosphere of responsible autonomy availed by effective and progressive leadership as a foundation for occupational growth and development. In addition, bureaucratic autonomies should be understood to be a double-edged sword. In the right hands, combination of the “autonomy of will” and the “autonomy of action” could lead to remarkable change and impressive transformation, especially when vision, ethics, and law are blended smoothly to guide operations. However, in the wrong hands, bureaucratic autonomy could become a tool for popularizing bureaucratic vices such as administrative bullying, propagandist interference with the public media, victimization of dissent, occupational harassment, and dictatorship, thereby trampling the propositions of democracy and certain human rights, even with the impunitive autocracy of powers arrogated to self. Global sustainability goal numbers 10 and 16 seek to bridge the margins of income inequality both within and among nations and foster societies that are peaceful and inclusive by upholding systems of justice and building institutions that are accountable, effective, and inclusive at all levels. One panel for pursuing these goals is by reducing the cost of doing business and import-export trade while also reducing the burden of taxes and levies that non-indigent workers have to shoulder in appropriating their earned income across various jurisdictions of the global society. Another panel involves stemming the tides of violence, crime, trafficking in persons, forced labor, and child abuse and building more reliable judicial systems that uphold democracy and the rule of law for peace, justice, as well as the sanctity of citizen rights, including the right to quality social services. Evidently, the social consequences of bureaucracy presented in the preceding section of this chapter do portend critical implications for the global Sustainable Development Agenda 2030. One facet of these implications is evident in the attempts by national governments to capitalize on bureaucratic structures to suffocate the independence and autonomy of the public news media, as has been witnessed in countries like Egypt in recent time, as well as the propagandist dogmas that have helped to propagate the festering menace of canards and fake news in the public media in recent times. The global sustainability goal 16 advocates for peaceful societies; however, with the consistent waning and progressive erosion of the measures of trust that global citizens repose in the credibility and completeness of reported media information, democracy is bound to lose its effectiveness, and its wheels become immobilized as electorates would continue mooching in darkness, blind to the realities of the vices being propagated by elected officials. Although history has proven time and again that this is a simmering concoction for civil unrest, revolutions, and disruption of public peace; which is guaranteed to boil over sooner than later. In addition, the clamors of the electorate for justice, infrastructural development, income equality, accountable leadership, good and responsive governance, and the responsible use of public resources are likely to persist and linger unattended, especially within bureaucratic structures where varying qualities of public service are available and accessible to various cadres of the public citizenry. The appointed bureaucratic leadership of a public service who has access to high-quality medical care, even overseas, would not be able to contingently fathom the extent of dilapidation in national healthcare service delivery, just as the elected official who travels in an official chopper would be unable to understand the clamors for good road transport infrastructure by the citizenry. This reality is capable of frustrating efforts at bridging the gaps of inequality and restoring the vital trust between people and the government for global sustainable development. Furthermore, corruption, extortion, and exploitation thrive more easily under the cloaks of public service bureaucracy. It is easier for public sector officers to hike the costs of public services so as to rake in some kickback profits for themselves at the expense of the public; and because channels for reporting such incidences are also clogged by the same bureaucratic plugs, it is difficult to hold these public officers accountable. Many researches have argued that spates of bribery and corruption that strangles developing economies and have weakened the underdeveloped economies of Africa and Asia thrive on this reality, and this research lends credence to that argument. Public officers who receive government remuneration from taxpayers’ money would begin to demand and enforce the additional payment of gratuities from the citizens they serve for doing their jobs, confident in the fact that is very unlikely that they would be held accountable; no thanks to the bureaucratic bottlenecks that make very onerous the task and process of holding them to account. Preponderant open media reports document this reality as having pervaded the police, military, banking, civil service, state departments/ministries, and every other area of public service in various jurisdictions. When the convolution of all these implications eventually succeed in bleeding to death the voice of democracy and permanently severing the bonds of trust between citizens and their government, which are essential for fostering inclusive, peace, and cohesive global societies, perhaps, then it may be said that our global society has begun to self-destruct, having been progressively amputated by the knives of her own bureaucracies. Indeed, bureaucracies, when carefully established and closely monitored with open, trusted, and reliable systems of accountability, representation, and whistle-blowing, could be a catalytic force for sustainable development across various frontiers. However, where cavalierly dispositions are left to maraud and fester unbridled under the shelters of bureaucratic structures and frameworks, the impact and implications for global sustainable development are far-reaching and daunting. By beginning to restructure the bureaucracies within the government public service sectors, bearing in mind the realities presented and discussed in this chapter, it would then become more possible for the wings of the global sustainability Agenda 2030 to spread out and soar unhindered into the future that has been envisaged.